In SAP HANA Service these are currently manual steps but graphical user interfaces are planned for the beginning of 2019. 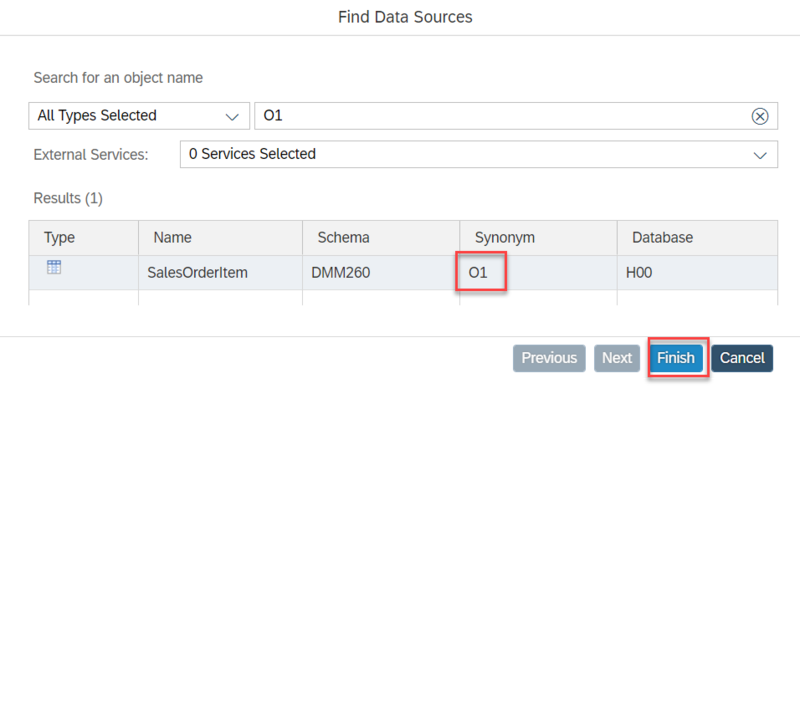 To make the start of modeling a bit easier the blog shows the steps of consuming objects outside of your project in SAP HANA Service. The example assumes that table “SalesOrderItem” in schema “DMM260” should be consumed in a Calculation View and that you create a user provided service “UPS” to this end. If a user provided service that fulfills your requirements does not already exist you can create it with button “New Instance”. Make sure that the database user UPSUSER exists, has the authorization to GRANT SELECT WITH GRANT OPTION on table “SalesOrderItem”, and uses this password. Next you will need to create and build a hdbgrants file. This file should grant SELECT WITH GRANT OPTION on objects that are to be used in e.g., Calculation Views to the user “object_owner”. A simple SELECT is enough for the “application_user”. As best practice, these privileges should be granted via roles. The roles “roleForApplicationUser” and “roleForObjectOwner” can be creates as SQL roles. Make sure that the database user behind the user provided service (UPSUSER) has been granted the authorization to grant these roles. You might want to use the .hdbsynonymconfig approach that is also detailed at the help portal to achieve more flexibility when addressing the source schema, e.g., using no fixed schema but fill the schema by the user provided service. This flexibility can come handy in a transport context.